Jian Subhi Aref, 21, Sweden. 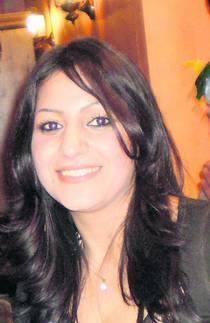 Subhi Othman stabbed his daughter Jian to death in November 2010. When police arrived on the scene, they found Jian daughter lying in the foetal position at the bottom of the stairs. She had been stabbed 53 times. The court in Nyköping, south of Stockholm in Sweden found that the murder had been premeditated and especially brutal. Jian’s father will be extradited to Iraq from Sweden as soon as he has served his 18 year prison sentence in Sweden.